Hard coded user authorization is the process where you already have permission from the user in the form of an access token and access token secret. There are two ways you can get those items. The normal way is to have saved them from a previous web- or pin-based authorization ((the samples for those two types of authorization show how to retrieve the access token and access token secret)). The tokens you see there are the same ones you’d get from authorizing yourself through more traditional means. 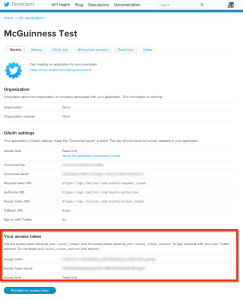 Regardless of whether you’ve saved the tokens from a previous call or whether you’ve extracted them from the Twitter developer’s web site, the code for doing the authorization is the same. 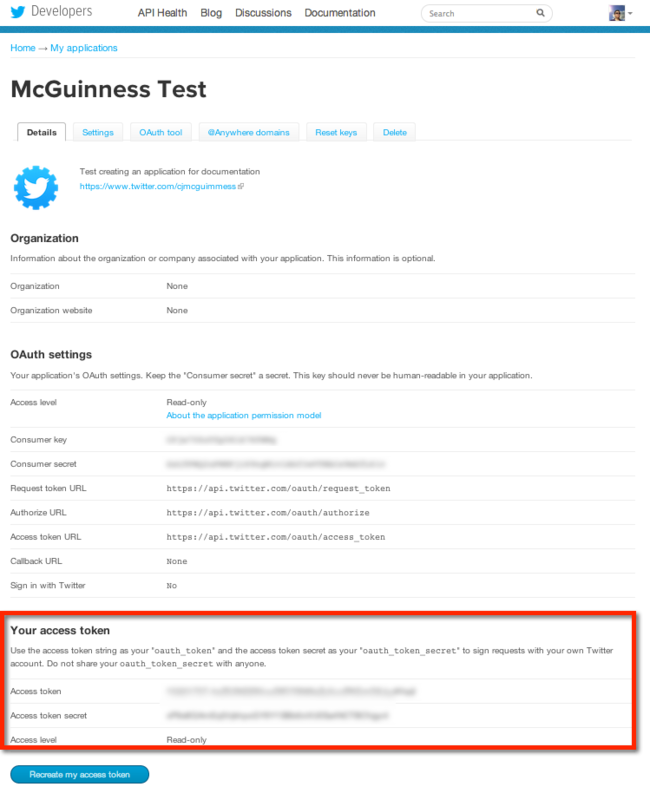 This is simpler than Application Authorization, but only because you’ve hard coded the results of some other Twitter authorization interaction.